The UMF Medical 8612 Phlebotomy Chair is part of the 8600 series which is unique in its ultra-comfort. Using its amazing 360 degree rotation ability, it is easily manipulated to whichever direction is necessary without the patient having to turn at all. The chair features a swivel lock, so that once the desired angle is achieved, it will be locked in place. The seat is manually adjustable with use of the convenient foot pedal. That way the patient can have control while sitting or getting up from the chair. 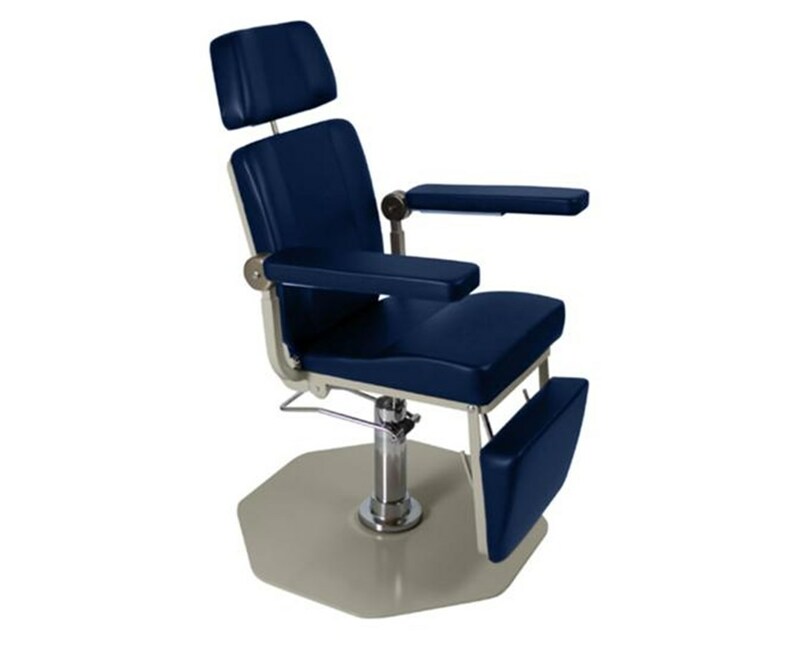 In addition to the actual height adjustment, there is also the ability to recline the chair by just pushing down the backrest and the leg section ensuring the ultimate patient comfort. As seen in the image, this chair also has hinged arms, which can be moved up or down as convenient. The 8612 offers the ability to adjust the height in 10-degree elevations from supine position. Meaning that not only can this chair swing around to face whichever direction, lean back to a horizontal position, the seat can also be lifted for the best position for both the patient and the medical personal. The 8612 Chair boasts the vacuum-formed UMF Ultra Comfort Seamless Top, which will not absorb any contaminants, spills and is always comfortable. The Phlebotomy chair has a 250 lb. (113.4kg) weight capacity. With its steel frame, it is a sturdy, solid piece. The UMF Blood Drawing Chair is available in 8 different colors. The standard color displayed in the image above is Midnight Blue. You may view the available colors in the color chart and select your preference. Please note your choice of color in the special instructions field during checkout. The following options, if desired, are available to select, just above the add to cart button on the top right side of this page. Please click on the drop down and select your desired product variation. Also, please note that there are additional charges for the following available additional options. UMF Medical as well offers a Fire Retardant Foam (CAL133) option for your Phlebotomy/ENT Chair. It is indented to provide extra safety to the product by helping stop or slow the spread of the fire in the case of an accident. 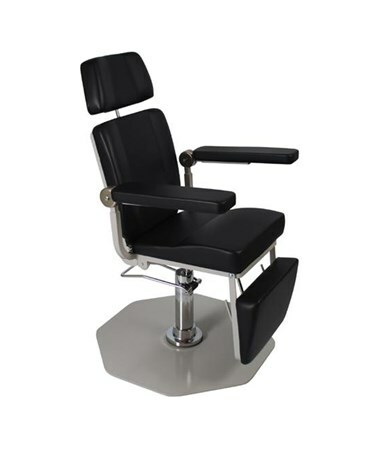 The Medical Power Phlebotomy/ENT Chair has a limited 3-year warranty. Seat Height 23" - 38"